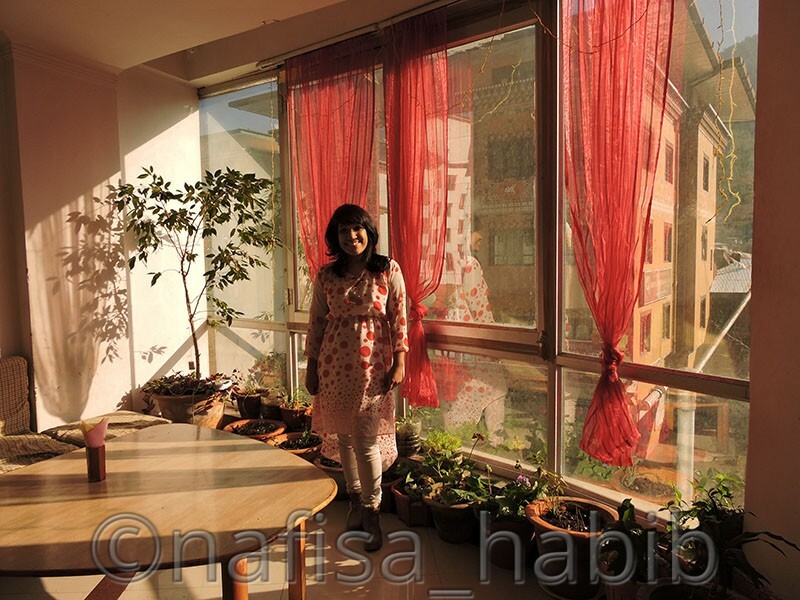 Oh, what an entry of mine was in Thimphu, Bhutan! The beat sounds were coming from the Clock Tower Square, where I found some performers on stage singing, the place is crowded. 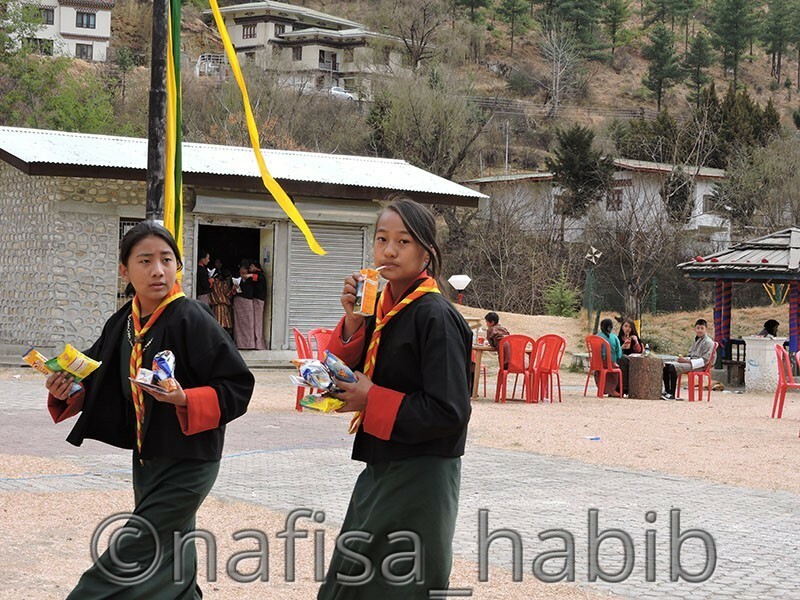 The whole city in a festive mood celebrating Losar with the first ever Bhutan International Festival 2015. One of the cleanest, well maintained and lovely city Thimphu in Bhutan impressed me much during my two days here. 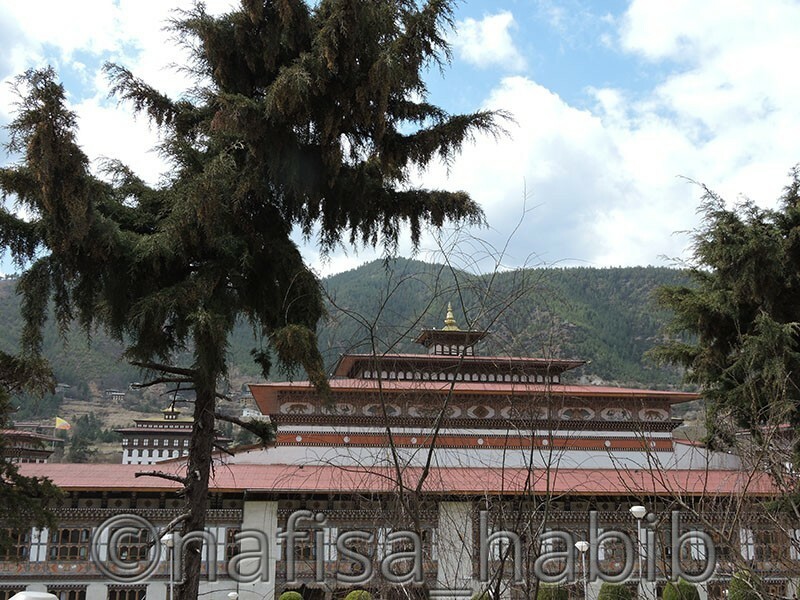 Among various tourist attractions in Thimphu, I’ll love to recommend some to explore during your Bhutan trip. 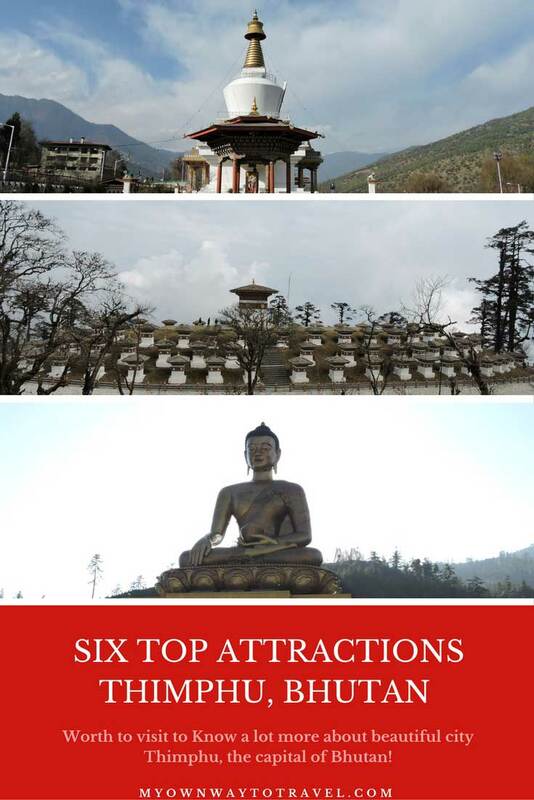 Yes, what had I really explored from the capital and what are the top six places to visit in Thimphu? Details inside. It was a winter afternoon, with a heavy cold. For two nights I did stay at Hotel Destiny, a standard budget hotel which is pretty near to the Thimphu city heart Clock Tower. After finishing lunch took a quick move exploring this largest city of the Himalayan Kingdom. 3.1 Like This Post? Click To Save To Your Pinterest Board! Scenic, Beautiful, Picturesque and Spiritual like those many adjectives can be added after this spot. This is the most popular in Thimphu and tourists first choice of attractions. Far away from the city and every foreigner must have to submit their passports before entering here. On the way (pass) you’ll enjoy the beauty of tall Pine trees and mountain views. 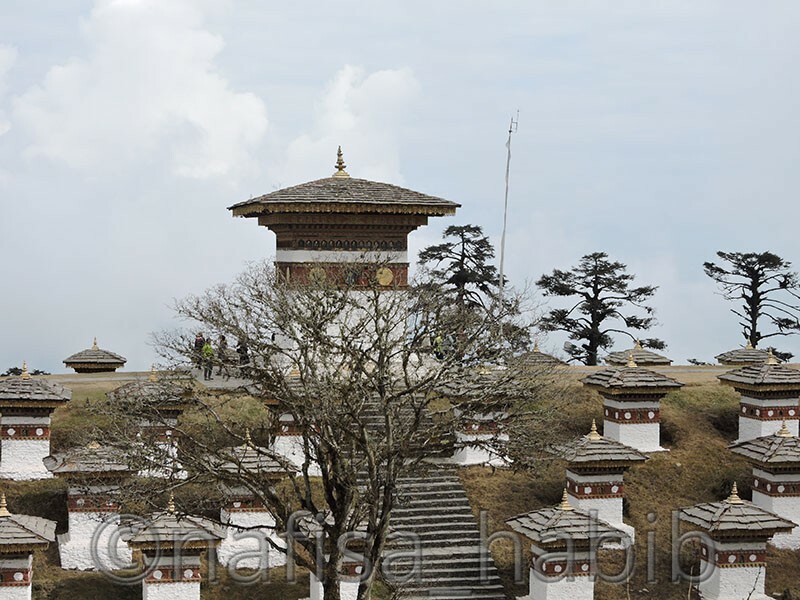 Dochula is made up of 108 Stupas or Chortens and there is one temple also to worship. During winter very cold here and Himalayan mountain range panoramic viewing is possible if the weather is a bit warmer and clearer. Memorial Chorten is one of the most popular and religious landmarks in the city built in 1974 in memory of the Third Druk Gyalpo, King Jigme Dorji Wangchuck (1928–1972). The extraordinary architecture of this Chorten is very eye-catching and I’ve loved the Holiness of the entire spot a lot. I found all Bhutanese walking around the Chorten all over the day and reciting mantras to show love and devotion to their ‘Faith’. Everyone roll over Prayer Wheels and do the same to represent the mind of the Buddha and that is the main reason this Chorten has been built. Buddha Dordenma or Buddha Point is one of the world’s largest Buddha statue located in the middle of the Kuensel Phodrang National Park. This tourist spot is very near to the city. I found still many constructions are ongoing around the area. 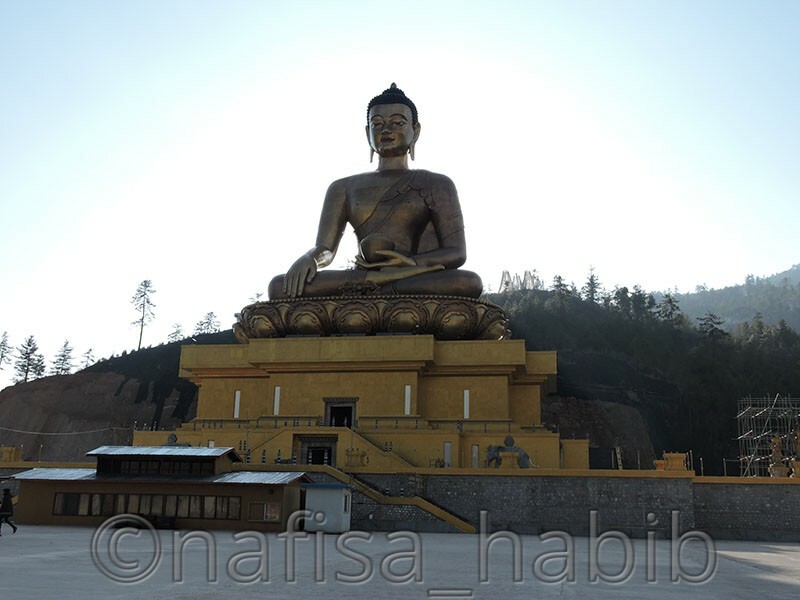 This gigantic 169 feet (51.5 meters) height statue is made up of bronze and gold and visible mostly from every corner of the Thimphu city. 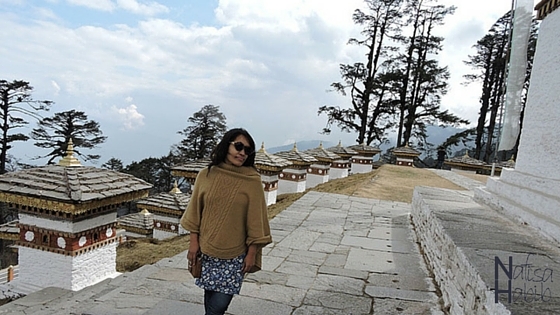 Visitors walk around, offer prayers and also enjoyed the lovely Thimphu valley view from here. I don’t know somehow this market took my attention and I’ve loved being in here, which located very near and center of the city. 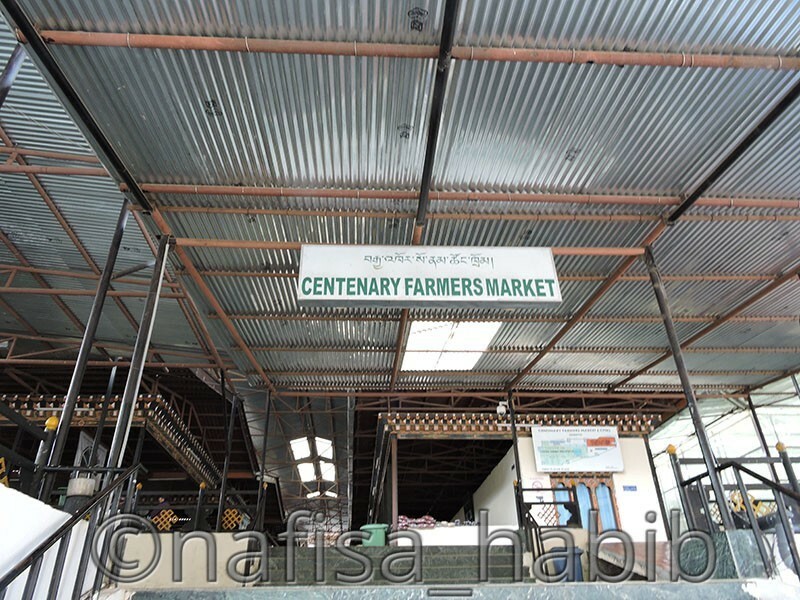 This weekend market is mainly for farmers all over the country. Here they come to sell their own products and all are organic and fresh. 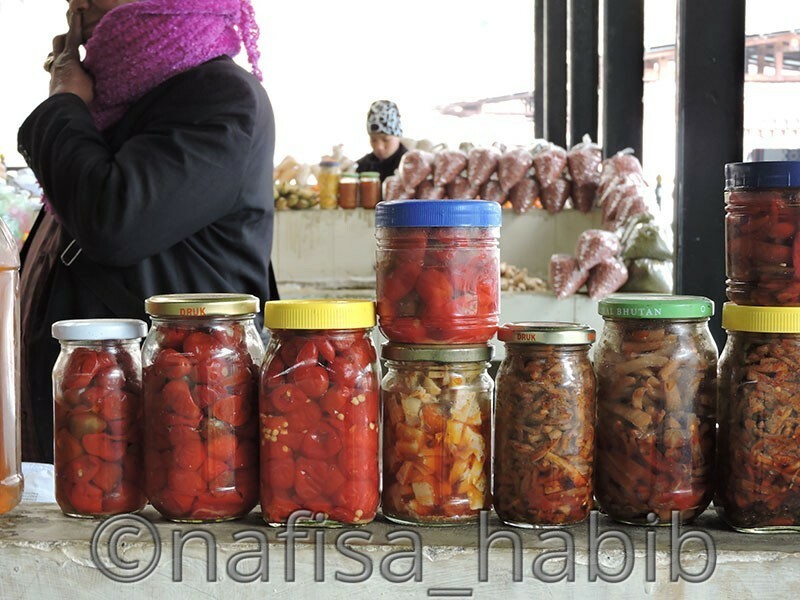 Fresh fruits, fresh vegetables. Homemade various chilly and mouthwatering spicy pickles 😉 nicely decorated to sell as well. Wow, so nice initiative by the Bhutan government! And that was the notable thing for me. 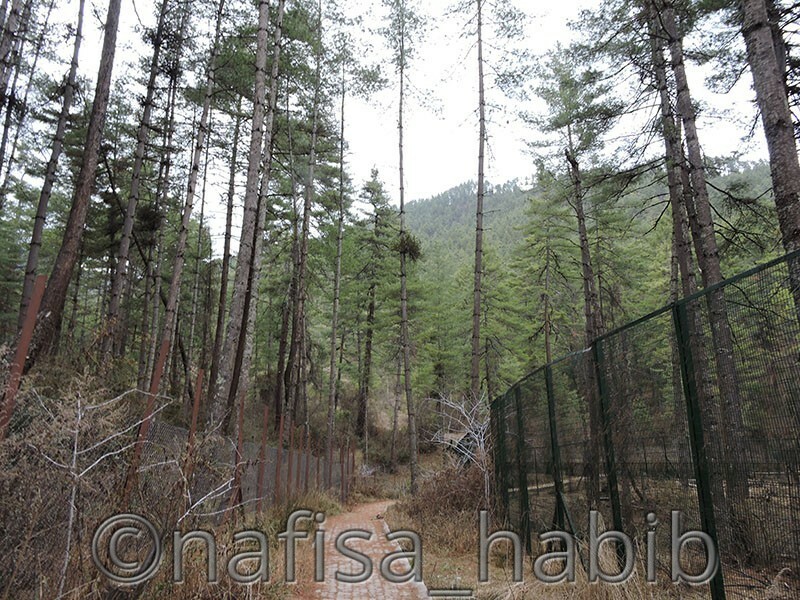 Took an entrance here with a traditional Welcome gate and enjoyed every step of the walkway inside the wildlife preserve for Takin (National Animal of Bhutan). 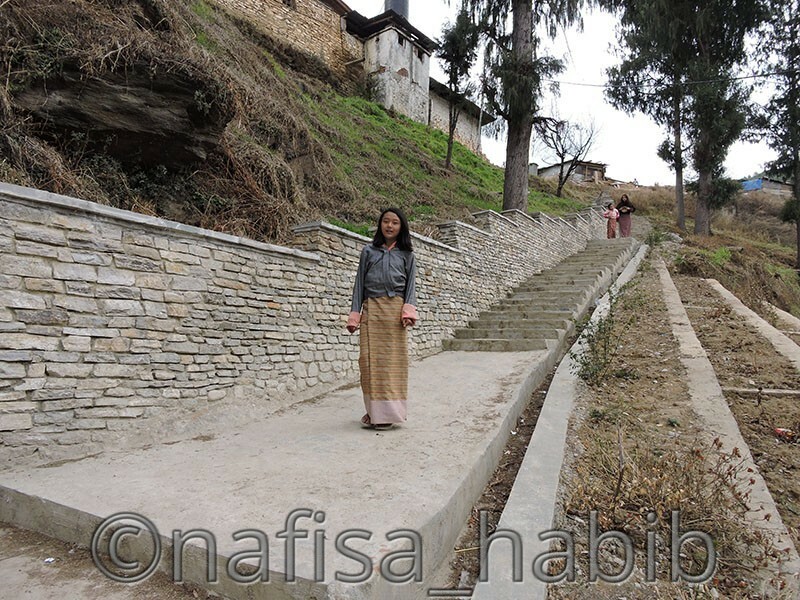 This mini-zoo is located in the district of Motithang, Thimphu and managed by the Bhutan Ministry of Agriculture and Forest. Very well maintained and surrounded by 3.4 hectares (8.4 acres) of the area. Many Takins grazing in the preserve and some tourists were trying to feed them from the outside. 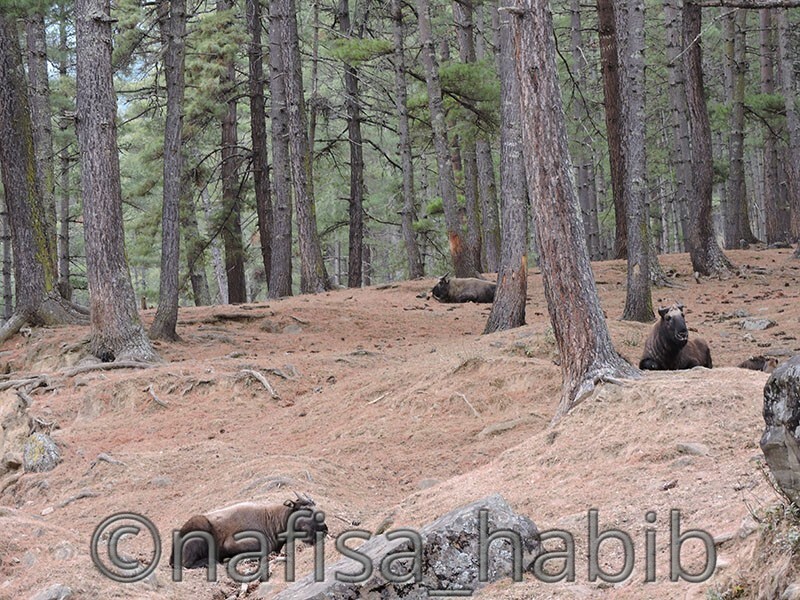 You can also find some Barking Deer and Sambar here. Various trees and plants with sounds of nature have also created an extra beauty for the tourist here. This is the oldest temple in Thimphu, built up in the 21st century. 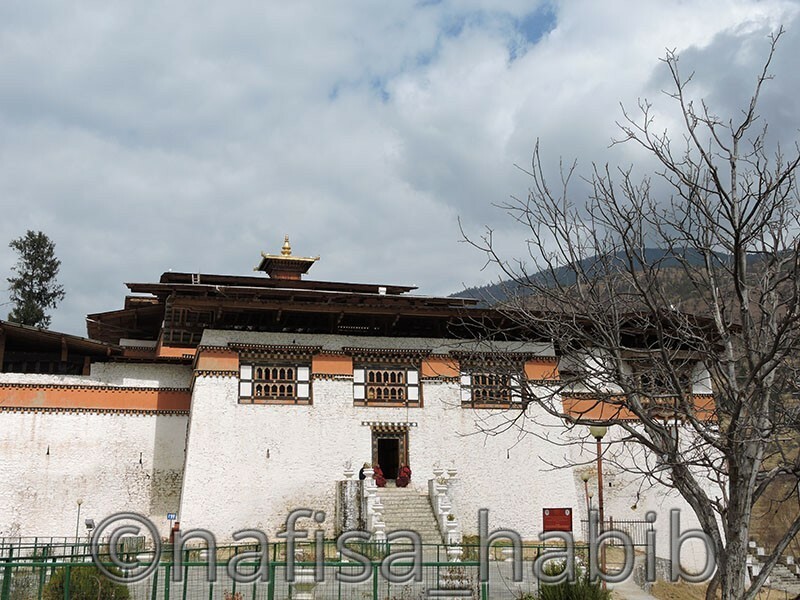 Changangkha Lhakhang is like Dzong or fortress and except the beautiful architecture, the overall area of this temple is very scenic. Here you’ll also find many monks and other Bhutanese to show their devotion to Buddha by walking around and rolling over the prayer wheels. Small and oldest Dzong in the city, built in 1629. 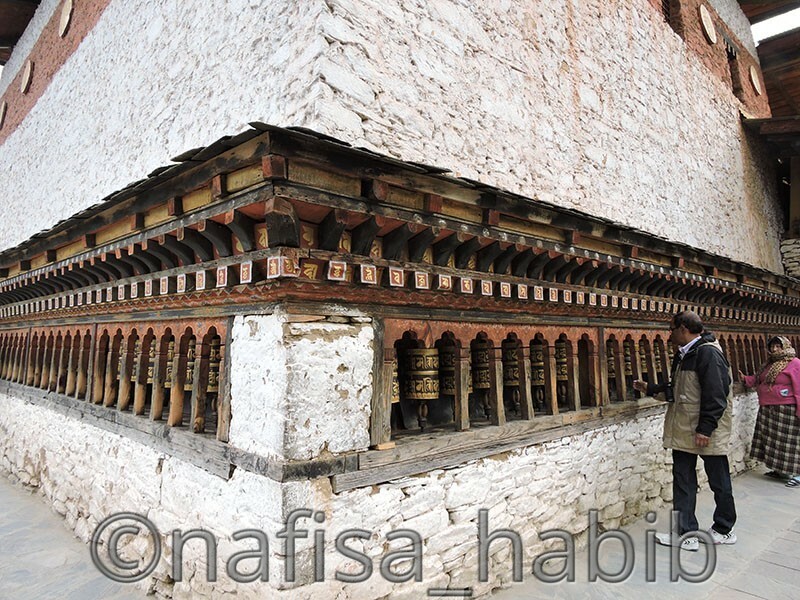 One of the oldest and most beautiful Dzong, built in 1641. The National Assembly and no entrance without permission. To play Archery, the National Game of Bhutan. 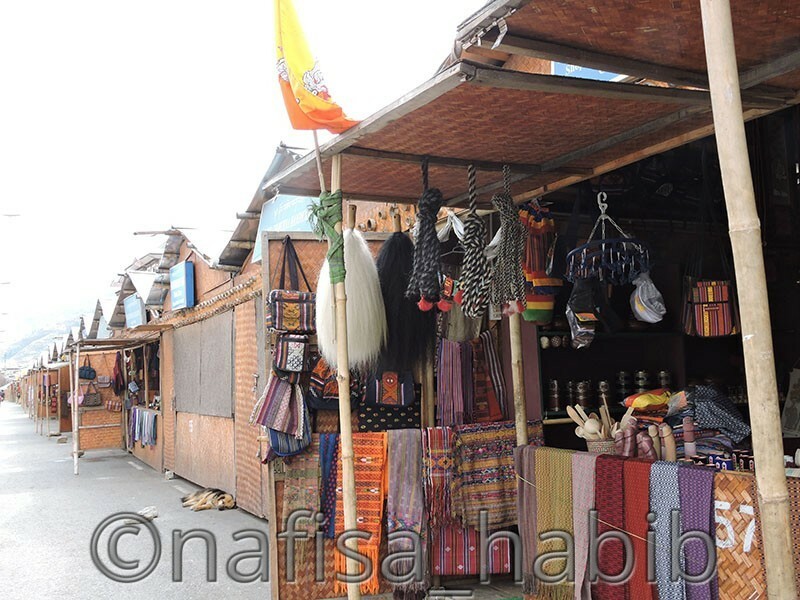 Many Bhutanese handicraft shops here selling all handmade products like clothing, bags, and souvenirs. Lovely place, mainly for children, where can be arranged many events. 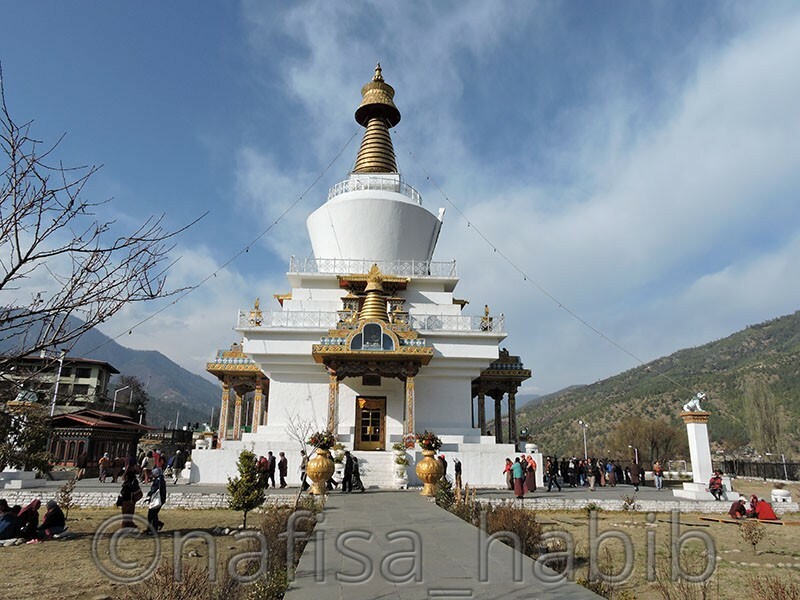 One Buddha Stupa and the beautiful view of the Wang Chhu river are also attractions for visitors here. No tickets needed for visiting any spots. Free for all. 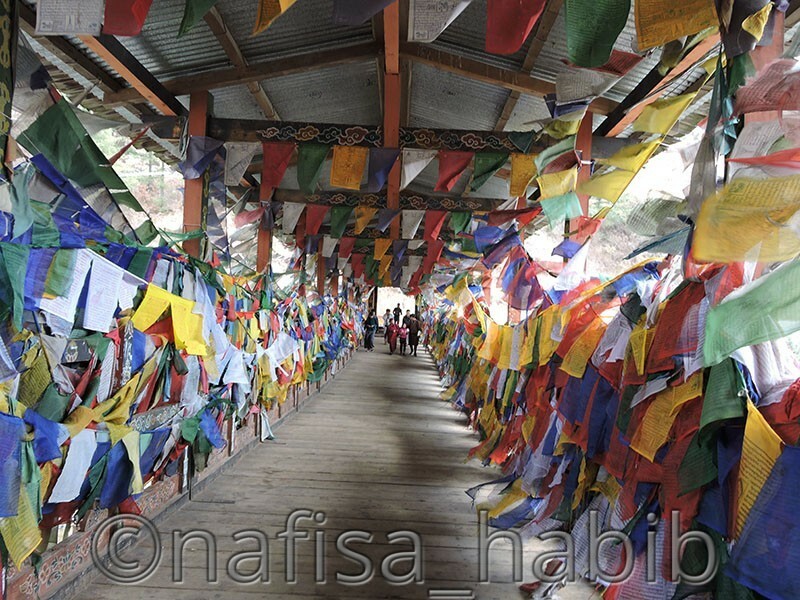 Most tourist spots are spiritual and related to Dzongs and Monasteries. Mostly all practice Buddhism and value their religious thought everywhere. Most significantly all Bhutanese loves their King and Queen and so every shop you can see they are selling souvenirs with their beloved King and Queen’s together photos. Many years old histories, tradition, and culture still maintained and followed by each and every one. Looking for more information on Bhutan? 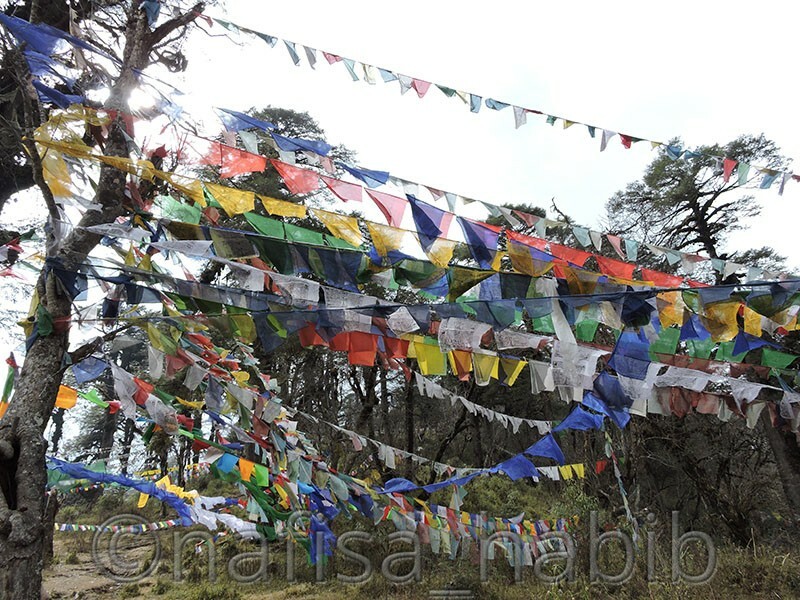 Check out the top seven reasons why you should visit Bhutan before planning your trip. Get the smart GPS-guided version of Top Six Places to Visit in Thimphu, Bhutan blog post here. 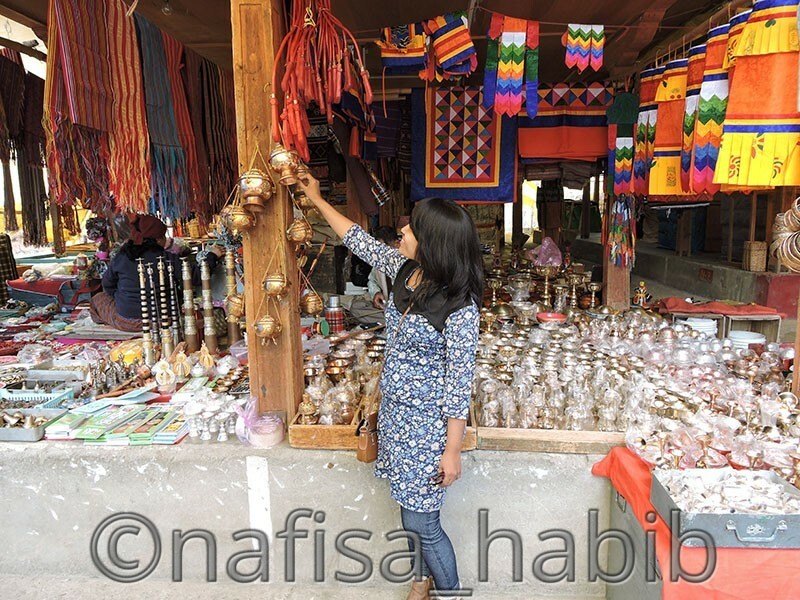 Would you like to recommend any other places to visit in Thimphu, Bhutan? We are planning to go Bhutan early next year and I think this is going to be a wonderful post to refer to when we plan our itinerary. All your pics are wonderful. Thanks for sharing . 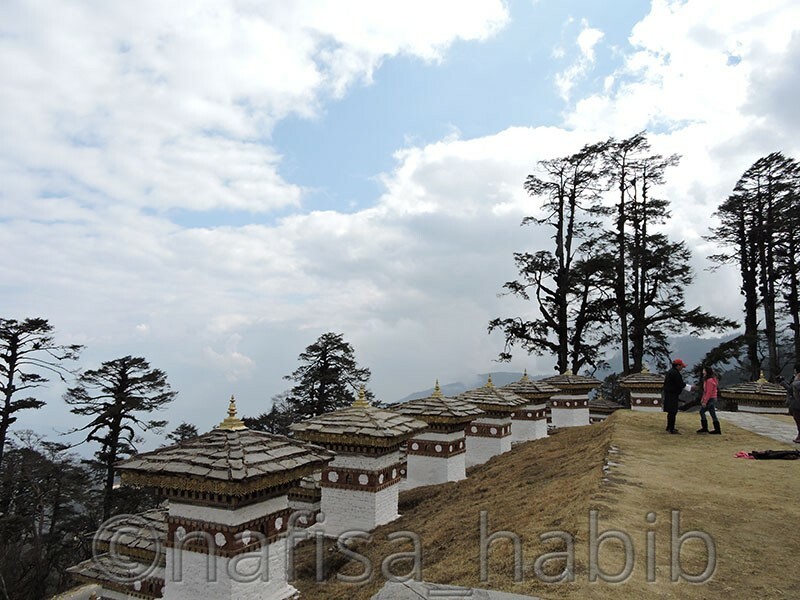 Wow ~ Bhutan is really special because of its religion, remoteness and beautiful mountainous landscape. Thanks for sharing your experience with us, and I hope to visit there very soon! 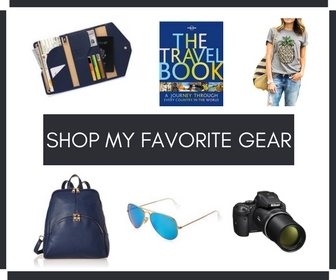 Hopefully, you’ll enjoy your trip! This looks like the perfect place to explore. I love the style of the buildings, and the preserve is something I would enjoy! I’ve never seen that type of animal before! Absolutely the perfect place to explore! I’ve never been to Bhutan but I’ve always wanted to go. The places you mentioned seemed like superb places to visit. I hope to go there once before this year ends! Great, you’ll definitely enjoy your trip!